A bright November night on Islay at Kilchoman. While there were quite a few clouds around they also broke up at times for a bright night sky with many stars. 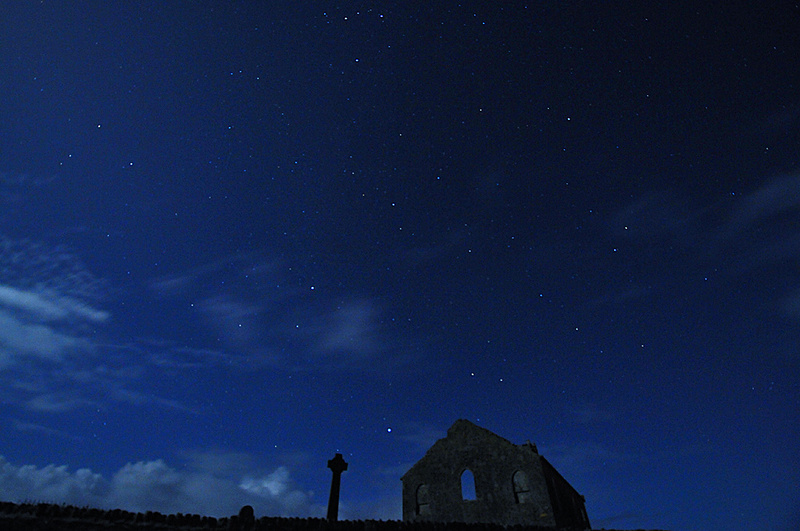 The almost full moon provided some light on the ruin of Kilchoman church and made for a bright sky. This entry was posted in Cloudy Weather, Landscape, New Post, Night and tagged Celtic Cross, Islay, Kilchoman, Kilchoman Church, Kilchoman Cross by Armin Grewe. Bookmark the permalink.